After spending four days with old college friends in a cabin in Potter County, I’ve learned that “ebb and flow” brings peace. The creek behind the cabin brought soft whispers of peace and tranquility. No humming of cars could be heard; only the humming of a humming bird who danced around the edges of the porch. The gurgling creek harmonized with the chirps, warbles, caws, and blunt squeaks of birds, creating a song of nature that was both simplistic and distinctive. Hidden in the recess of eddies, tucked near the shore, just beyond the rocks that causes the rapids to sing is found various forms of life: tiny creatures and crayfish tucked among embedded rocks. Tucked in a deep eddy called a fishing hole, trout swim as if still against the creek’s current because eddies are havens of rest from the torrid pace of the stream’s activities. Our cabin lay in a sleepy valley tucked between two mountains where sun drenched rays of light fought the foliage to feed the ferns on the forest’s floor. I found refuge here from the strong currents of life. My solace lay not in its silence, but in boisterous laughter, revelry, and bantering among five old friends: a banker, carpenter, print foreman, public school teacher, businessman and college professor, all retired, all advancing in age. Here we reminisced of bygone college days, and here we found the essence of peace in the sound of nature. Peace can be a woven tapestry in a field of diversity, sewn through each person’s unique journey that bonded them as a group. One’s talents flow through their career, but here they are joined together by just sitting on a porch reminiscing, a perfect eddy. Commonality was found in their acceptance of each other after forty-five years. The weekend caused walls to crumble and openness to prevail as most of the weekend was spend around a kitchen table, talking, playing cards, or sitting on the porch. Differences diminished with peer acceptance. Similarities can be found between our weekend and how the five-fold works relationally. I cohabitated with five distinctively different people with five distinctively different gifts, talents, drives, and points of view. Once all were very independent from the others in their journey in life, but now were being drawn together through a bond of acceptance they have never experienced before. All served and accepted one another as equal peers. No bickering or fighting ensued since playful bantering brought howls of laughter and delight. No one needed to be asked to do a chore; all chipped in when needed. Everyone willingly served one another. In the past polite handshakes would have been the norm when leaving, but no longer! Backs were slapped and hugs given. The power of the “ebb and flow” brings peace, and we experienced that peace through giving and taking throughout the weekend. The creek was not the only place where one can find the “ebb and flow”, nor is the mountain valleys the only place one can find peace. Both can be found in built relationships between one another. “Birthing” as a parent is cool! “Rebirthing” as a grandparent is even better! If Adam ad Eve had been created as grandparents, they wouldn’t have sinned! Spoiled the grandkids? Sure! But not sinned. Eve would have been too busy baking cookies to eat of the forbidden fruit. Adam would have been rocking the grandchildren, telling them stories, gone fishing with them. Unfortunately that is not how it happened, so today we need evangelists. Why? Evangelists love to “birth” and “rebirth”. The voice of this blog site has been quiet for two years, but no longer! The evangelist proclaims, “Fiverevealed.com” is alive, revamped, renewed, rebirthed!” It may appear that the blog writer went into hiding, but he has been busy writing as well as becoming a grandpa. Since my last blog, I have written four major manuscripts: One Another: A Guide To Equipping The Saints Through Peer Relationships, The Phoenix Arising From The Ashes: One’s Faith Journey, The 3 R’s - Revolution through Revelation to Reformation; A Metamorphic 21st Century Church, and Martins – 500 Years Later: A 21st Century Reformation. I am also working on Five Underground, the fifth fiction book in the Five fictional series, and Cataclysm: A Tsunami Revival, a fictional book at why revivals do not have to be messy. Some goals I have for “the new and improved” Fiverevealed.com are 1) share excerpts from some of these manuscripts; 2) reformat the 18 manuscripts I have written dealing with the tearing down and building up of 21st century church structures; 3) offer these manuscripts as ebooks through this website; 4) and have this website become more interactive, networking the body together. I am totally convinced that the five fold (evangelists, shepherds, teachers, prophets, and apostles) are the passions, desires, and points of view of common believers in Jesus. As “gifts of grace”, they are not hierarchal offices! Their purpose is for “serving one another,” not ruling over each other. They allow a linear back and forth flow movement among equal peers when one is willing to “lay down one’s life for their brethren.” Hopefully, this blog will remain true to this calling. Being “Missional”, a current church buzzword, is associated with going beyond church culture by responding and adapting to one’s environment. When the church loses being salt and light, it loses its brilliance and flavor and becomes ritual and lifeless. The concept of being in the world but not a part of it does not mean to be exclusive. Jesus commanded to love your neighbor as yourself, but when immersed in only a Christian culture, loving becomes easy, not sacrificial or forgiving. Loving your neighbor means responding to those outside one’s cell and adapting to their environment. Jesus was also criticized in his day for eating with tax collectors, prostitutes, Samaritans, those unclean by Jewish Law, but He knew His Church would one day be outside the realm of Jewish tradition and open to the gentiles. Again the five fold is important in implementing this principle. The evangelist is needed to rebirth, so that all things are new! A shepherd’s nurture, caring, and kindness is effective in bringing about acceptance, then openness in receiving the gospel. Teachers are needed to teach the practicality of how to love your neighbor, not just preaching at them. Prophets can “read their mail” as Jesus did to the woman at the well in order to bring them into the kingdom of God. Apostles have insight as to how to be the most effect cell in winning new people into their group, how to nurture and develop them, spiritually feed them, and release them when mature. An five fold church or cell, led by the Holy Spirit will seek direction on how to win the lost, nurture and care for their needs too, ground them in the faith, bring spiritual life to their stagnant one, and help them grow and develop. All this is what Jesus meant when he told Apostle Peter to feed My sheep. If the Church is to win the world for Jesus, it must infiltrate the world and environment where it has been placed. As different cells have different purposes, so a church cell can be an urban cell, a suburban cell, a cell with outreach, a cell with compassion, a cell with… on and on. Diversity is important to the nature of the body of the Christ, and responding and adapting to different environments can only come through diversity. As I said in my last blog: My “little girl” became a woman, who as a mother birthed another “little girl”, a grand daughter for me. That is how living things work; they grow, mature, and multiply. Reproduction should be a natural expression of a developmental life. Most Christians today who do not grow spiritually, who are encouraged to remain passive, not active, who have their spiritual passions stifled by leadership or structure, never reproduce. Again reproduction is a natural process in the five fold. The evangelist majors in reproduction. His cry is, “You must be born again,” being born of the water and the spirit. Life never begins unless there is birth; reproduction is a necessity for spiritual life. A new Christian, one just born into the faith of knowing Jesus Christ, has an enthusiasm, which is contagious. It brings life to the entire body, the cell! Evangelistic churches or church plants breed enthusiasm. If an individual believer and a local church is not reproducing itself over a period of time, it needs to look into why? Sects like the Cloisters of Lancaster and the Shakers are dead sects, having only their community buildings as museums of remembrance. Without spiritual reproduction, their cells died and their organism died with it. Living things have been creative for activity. The Church was never originally designed to be a passive institution with a subclass called the “laity”. This class, called the “saints” in the Bible were active. After the four gospels, the book of Acts is written to record the acts, the actions, the activities of those followers birthing the Church. The church is not dormant! When visiting a local church, one leaves and often assesses their visit as just visiting an “active” church they call “alive” or a “passive” church they call “dead”. Cathedrals are impressive in size, architectural, and artistic value, but when empty they are just empty tombs of remembrance. Without activity among God’s people in a place, death is evident. It is like you want to yell, “The tomb is empty; the Lord is risen!” To find that risen Lord you must look with in a gathering of his people. “Where two or three have gathered together in my name; I am there in their midst.” A gathering of saints produces life when Jesus is in their midst. We must rethink our use of the word “church”, for we attend church, by going to church, and being the church at our church buildings. Confusing? The church is a gathering of saints with Jesus in their midst, that obtain and use His energy through His Holy Spirit. Churches that have life, are centered around the Holy Spirit of Jesus Christ who brings supernatural life naturally to that group. As a proponent of the five fold, I believe that when all five are present, there is life. An evangelist birth’s spiritual life, shepherd nurtures, cares, and develops that life, the teacher instructs that life through daily living based on the Word, while the prophet brings revelatory truth to that life. An apostle networks all the different facets, or organelles, in that cell, and together they all make up the workings within the cell that brings life, multiplication, and growth individually and corporately. We as a church, have to quit grieving the Holy Spirit that produces that life and stifling the energy He produces. We have to allow the organelles within the cell to function as they have been created, so they can continue to attribute to the health and welfare of the cell as a whole. In this series opening blogs we defined an organism, told how the cell is the central component to life, and how the levels or organs of life, working together, affect the organism as a whole. Different components within the cell, the local church, bring life to it. Its diversity should be displayed through different passions (evangelist, shepherd, teacher, prophet, and apostle), who serve one another by laying down their lives for the brethren. A purpose for the cell is to “equip the saints for the works of service”. After new converts have grown and been nurtured toward maturity in Christ, cell division should occur where the talents of the saints are released for the purpose of producing two cells, two local churches, all under one banner, the Church. This is the new paradigm for church planting: cell division of an equal splitting apart for the purpose of growth and renewal. Tissues, organs, and organ systems are similar in that their purpose is to work together to perform special activities in unity. Historically local churches have bonded over doctrine, forms of worship, church and leadership structure etc. and formed denominations or independent Christian sects. That is not why they were created. Although similar in structure and function, they must “work together” to get the desired results, not oppose one another. We need Body parts that emphasize evangelism, who shepherd and build communities, who nurture care, and build up saints, who challenge the Logos written Word to be the Rhema living Word, and who network others in an unified effort. We need the five fold, led by the Holy Spirit to bring, maintain, and nurture spiritual life to the Body of Christ. As molecules, organelles, and cells, we need each other to build the tissues, organs, and organ systems to make the Body effective, bringing it life, and continuing its growth. I believe this can be done through building relationships, not through hierarchal structures. The combination of molecules and organelles makes a cell. Cell combinations create tissues that develop organs and maintain life to birth, build, nurture, and mature the body. That is the structure of the Church. Cancer is when cells go amok, rapidly dividing without a purpose, fighting to become independent of one another, not willing to bond or work together for the growth, livelihood, and nurturing of the body. Cancer, this uncontrollable dividing among cells, eventually shuts down organs and systems resulting in death. We, as a Church, need a revival, a renewal, a new reformation to rejuvenate life back into the organism by working together by serving one another. Instead of fighting for our independence from one another, we need a bonding that only the Holy Spirit can do. We can only stop the cancer, not through surgery, radiation, and chemotherapy, but through embracing an attitude of laying down one’s life for their brethren in service for the purpose of building up one another and bringing unity and health to the entire Body of Christ, the Church. and function, which work together to form a special activity. function, which work together to form a special activity. form a special function for the organism. Over the centuries, the church created a hierarchal, institutional, leadership pyramid led by Popes, the Bishop of Canterbury, Apostles, etc. who headed Bishops, Cardinals, and Senior Pastors who ruled over boards, presbyteries, and committees who instructed their pastors and priests to organize programs and services staffed and financed by volunteers who were parishioners. This produced a system that has brought division, bickering and disunity. Local churches, cells, are to support one another (the body) through service through a linear relationship, for no cell, tissue, organ, or organ system is more important than the other. Each is to support the other. It leadership and followers should literally be walking beside one another as Jesus did with his disciples. Each body part is diversely different but must support the other differing body parts in order for the body to function as a whole. How this functions will directly influence the spiritual growth of every believer while bringing unity to the Body of Christ. In light of our Church analogy, all cells (local churches) are made up of combinations of atoms (diverse believers). As the Periodic Table lists all the known forms of combinations of atoms that form elements, so each local church body (cell) is made up of different combinations of talents from gifted believers. As an advocate of the five fold, I believe that each believer has the passion, talent, drive, and point of view of either an evangelist, shepherd, teacher, prophet, or apostle, but you need all five present to have a healthy, living, active cell (local church). 1. The life form called the Church, or the Body of Christ, is made from one or more cells (local churches). There are “unicellular” organisms, but the Church is generally “multicellular”, composed of of multiple local churches. 2. Cells arise from pre-existing cells [There is no spontaneous generation.] Today’s church plants try to birth new churches through spontaneous spiritual generation using a missionary model. New church plants should arise from pre-existing local churches instead. The purpose of the five fold of Ephesians 4 is “to equip the saints for the works of service”. The local church should be multiplying its evangelists, shepherds, teachers, prophets, and apostles within the existing organism, and birth a new church by “releasing” their saints by “sending them out” as a five fold team when multiplying. 3. The cell is the smallest form of life. The local church is not an entity among itself. 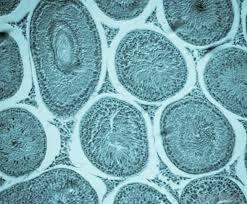 It is not to stand alone, but bond with other cells (as we shall see in future blogs) to become a tissue or body part. Each local church, one small cell in the Body of Christ, has its own purpose, passion, and activity that is to support the whole tissue, organ, and Body. 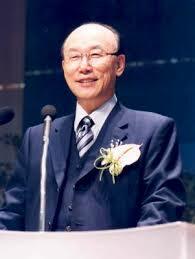 Currently there are millions of cells, local churches globally that are like a cancer, some multiplying, others dying. Multiple cells that multiply unnaturally or overbearingly can bring damage and even death to body organs or the body as a whole. This has happened with denominationalism and various independent religious sects that have brought division, not unity, to the body. How do we stop the cancer? By understanding the Organization of the Human Organism, the Body, can we see each cell’s real purpose in its effort to support life. Living things have different levels of organization. Scherben emphasizes that all 7 characteristics must be present for the organism to be living. Missing one can bring eventual death. In Genesis, God said, “Let Us make man in Our image, according to Our likneness…..” God created man in His own image, in the image of God He created him; male and female He created them. God blessed them. 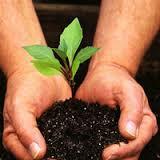 God said to them, “Be fruitful and multiple, fill the earth, and subdue it. Gathered believers find their energy, grow and develop, reproduce, respond and adapt to their environment through their cell, the local church. Gathering, growing, reproducing, and adapting come through built relationships among God’s people. The local church is to be active, not passive, a living organism who multiples through reproduction to grow, so all seven characteristics are needed to remain alive! Instead of building buildings, cathedrals, and mega-churches and hierarchal structures with Senior Pastors, priests, bishops, cardinals and popes, God’s intention was to build a living body, a living organism composed of cells working together for the whole. 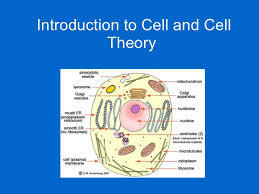 Each cell may have a different function, appearance, and purpose, but is created to support the life of the whole body. Kidney failure can destroy a body. Digestive problems can cause great pain. Heart failure brings certain death. The shutting down of organs brings certain death. Cell division is for the purpose of reproduction and growth. Uncontrollable cell division is called cancer, which also causes death. When there is cell division and reproduction, what should the church do? Should it organize, institutionalize, or develop a supportive life system? We will look at these phenomena in upcoming blogs. There are a lot of food for thought and a lot of wisdom in those insights! 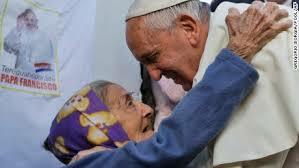 Americans were mesmerized by Pope Francis’ U.S. visit because their respect for him as a holy man who leads the Roman Catholic Church, his political influence addressing the Halls of the U.S. Congress, where nothing is revered anymore, and speaking to the nations at the United Nations in New York, as well as hugging, kissing, and blessing babies and children. He spoke to the issues of climate change, poverty, and family issues. 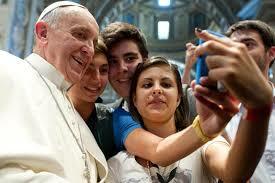 The Press, Catholic and secular, focused on his image, persona, symbolic actions, and Catholic doctrine. Two vivid images are implanted in my mind: At the Philadelphia Airport, the Pope paused to “bless” a quadriplegic that brought his family to tears; and a local reporter interviewed a local man who froze when the Pope came by, never taking pictures on his phone because he was too spellbound when being in his presence. The Pope was seen hugging, kissing, laying hands on and blessing hundreds of people, but what were the “results” of those actions? Were any healed, delivered, or saved? Tangibly, how were lives changed? To become a Saint in the Catholic Church, you have had to perform at least two documented “miracles”. For a man who touched hundreds, the odds for at least two healings or miracles seem like good odds to qualify him for sainthood just on this one trip. Unfortunately, neither the Catholic Cable Channel nor the secular networks reported any miraculous healings during his visit. Jesus too was mobbed by the multitudes in his time. When the woman with an issue of bad blood touched him, nobody knew who had done it until she confessed because of the throngs of people. Acts 5:15 records, “They even carried the sick out into the streets and laid them on cots and pallets, so that when Peter came by at least his shadow might fall on any of one of them.” People today fought to catch a glimpse of or be touched by or receive a “blessing” from their 21st Century Peter, Pope Francis. Are they getting the same results? I would love to hear actual, personal testimonies from those touched, transformed, or changed in tangible, documented ways because of the Pope’s visit, not just testimonies of how they were awed or inspired by his image, his presence. I want to hear how “Christ” changed personal lives because of his faith and his actions. There is a part of me that still wants to see the supernatural through the most adored figure in the Roman Catholic Church. I am not critical of the man, for like each one of use in the Priesthood of Believers, I know he too struggles with his faith. “Pray for me,” is Pope Francis’ continual request to his followers. I have no doubt that he is a very humble, pious, sincere man of faith, a holy man, but Jesus, Peter, Paul, and all the original apostles saw, felt, and released the supernatural. Jesus usually instructed a person who had just been healed to keep it quiet, but they couldn’t; they had to tell others of the good news. When supernaturally touched by Jesus, one is not the same and wants to proclaim His wondrous “Acts” that he has performed. If you, as a common believer, a member of the Priesthood of believers, is touched personally by Jesus, tell others! Your voice is as valid as the pope’s. Your testimony, your story, your experience is special and unique and needs to be told. The voice and faith of a believer in Jesus is a powerful voice. “The Old Is Gone; Behold The New!” Will New Forms Of Worship Be Natural Or Supernaturally Natural? What drew many Baby Boomers who were “church kids”, like me, away from their institutional churches towards the Jesus and Charismatic Movements often were the forms of worship we witnessed, when God’s Holy Spirit, the Spirit of Jesus Christ, fell on his believers individually and corporately. I had never experienced the masses “singing in the Spirit” in heavenly harmony until in the midst of a charismatic worship experience. The beautiful, rich, four part, a capella harmonies of hymn singing could not capture the harmonies and intimacy of worship found in this unique corporate expression! I had experienced superb singers singing “special music” before the sermon, but never experienced the richness of a common believer being given an original tune with lyrics by the Holy Spirit while being accompanied by musicians who had never heard the tune before either until I witnessed it at a charismatic worship service. At Love Inn in Freeville, New York, I witnessed someone sing an original “new song” accompanied by Phil Keaggy and his band while a lady interpreted the song through dance, all at the same time, all original, never rehearsed. At Jim Brown’s Saturday night Prayer and Praise Meeting at Upper Octorara Presbyterian Church in Parkesburg, PA, I heard a lady sing The Lord’s Prayer, not in the traditional way, but in an entirely original tune that the Lord gave her which powerfully impacted everyone present. Over the years I have heard prophetic words given through song rather than just being oral. I even witnessed people being ministered to personally through musical instrumentation without lyrics. The Holy Spirit is a creative spirit and will manifest and lift up Jesus in many forms that are nontraditional to us. I remember sitting on my blanket at outdoor Jesus Rallies in the ‘70’s & 80’s, listening to contemporary Christian bands, discerning if their audience was heavenward or directed to those in front of them. Very few bands directed theirs truly heavenward, but when they did, an incredible worships experience occurred. I have seen a heavy Christian rock band hold their closing note at an incredible decibel level in the midst of an incredible worship experience. It is hard to explain. So my question to the Millennials is, “What kind of worship are you seeking: high quality professional music, superbly written lyrics, well staged and professionally lighted, with top quality professional musicians and singers, or common, ordinary, believers, like you and me, jointly willing to do whatever the Holy Spirit tells us to do, even if it is out of the ordinary, out of our current comfort zones, totally original, unscripted, fresh and new. Are we willing to just be vessels of His love, His grace, His Mercy, and His voice through obedience to the Holy Spirit? If so, Millennials too can experience supernaturally natural worship! 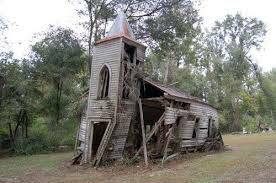 “The Old Is Gone; Behold The New!” Can This Be True For The Way The Church Worships? Aigner senses a shift in the church worship scene, giving me a hint that the millennials are seeking their own identity in worship, which excites me. This is a good thing. As a Baby Boomer growing up in the 1950’s & 60’s, I was inundated by hymns written by composers who died over a hundred years earlier. Southern gospel quartets, “special music,” and “choir anthems” entertained us. Worship services were predictable; their script was printed in the church bulletin. That was all challenged in the ‘70’s & ‘80’s when the Jesus Movement introduced Contemporary Christian Music with a rock beat as electric guitars and drum kits replaced the electronic pipe organs, and the Charismatic Movement introduced worship choruses as choirs yielded to worship teams. 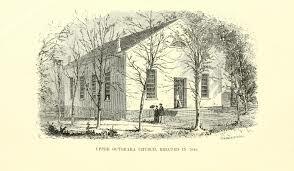 Churches were forced to offer two worship services: a traditional service with hymns, hymnals, a choir, special music, and sermon held in a sanctuary, and a contemporary service with choruses projected on an overhead screen, a worship team with drums, guitars, amplifiers, and stage lighting, and a sermon held in an adjacent church gymnasium or all purpose room. The Baby Boomers were trying to find their own unique way to express their praise and adoration to God through worship. It takes decades for the church to embrace new forms and styles of worship. Those Baby Boomers as youth and those in their twenties who challenged the church scene are now the establishment that accepts their style of worship as acceptable. I do not necessarily support Aigner’s call to “Refuse to contribute to the commercial industry. Stop paying Nashville and Atlanta and Australia for its so-called “worship music.” Stop going to “worship” concerts. Stop listening to commercial Christian radio.” Keith Green challenged the Contemporary Music Industry of his day for their capitalistic entrepreneurship, but he did not call to ditch the whole movement. There is much to glean from it that has benefited the Church. What the millennials will contribute to the Christian worship scene is yet to be determined by the Holy Spirit, the creator of Christian creativity, who flows among us. How He chooses to express Himself in their midst is yet to be seen, but when it occurs, I guarantee that it will be rejected by current forms, structures, and powers within the institutional church, and it will take decades until it too becomes the accepted practice within the faith. Holy Spirit come; Holy Spirit create! Church observe what the Holy Spirit is doing in the midst of His people, those who call themselves millennials, as they worship naturally and supernaturally. Embrace the upcoming changes, and accept the new forms of expression Jesus will give His Church, His Bride, in preparation for their eternal marriage in the heavens. Get use to it, for worship in heaven will NOT look like the way we currently do it on earth; just read the book of Revelations, and you will see! Can I And My Local Church Face Change? Often only when engulfed in it is one willing to face change. When you experience it, you know its real, and it only becomes a part of you when you fully embrace it. As an undergraduate, I learned about teaching, but only by experiencing teaching in daily life did I become a teacher. I thought I knew a lot about my wife the day I said, “I do,” BUT how little I did know was exposed through decades of marriage to her. We took “baby classes” prior to the birth of our first child; they were no longer needed for our next two because of what we had experienced with the first one. Now, in the fall of my life, people think I have wisdom, but wisdom is only learned through experiencing life. Our life cycle is all about change. About the time one gets use to being dependent on their parents, they kick you out of the house! About the time you feel being comfortable as being an independent single, you fall in love and get married. About the time you enjoy your spouse, children arrive! About the time you appreciate your kids, they’ve grown up and left the nest. Its back to adjusting to the spouse in an “empty nest” with no kids. Just as you enjoy one another again, one dies. Now you are single again but discover that you need help from your children during your elderly years; you are dependent again! If life is all about change, then why do we resist it so much? The sooner one yields to change, the sooner life returns to being smoother, familiar, and normal until change raises its head again. All organisms go through life cycles, even the Church, so it needs to embrace change. The rigidity of defined structures and traditions often oppose and prevent change, so we have to undo mindsets that have been set in stone. Moses had the Law, the Logos Word, set in stone on Mount Sinai but eventually learned that man could not live by it no matter how hard they tried. Jesus came as the Rhema, living, Word who not only lived out the Word, but fulfilled it. I conclude this series of blogs by asking you, “Why should/shouldn’t you embrace change?” and collectively, “Why should/shouldn’t my local church embrace change?” If you and/or I do not embrace the upcoming change, we, like our old Jewish forefathers and former Catholic saints will be versatile and adjust as much as our systems and structures allow and call it revival and renewal, but if we embrace change, we, like our first century brethren, peers in Jesus Christ, joint members in this royal Priesthood of Believers, will see great things, experience creative newness, and fulfill God’s provincial plan. The Jew who had accepted Jesus as his Messiah faced even more radical change and challenges than his traditional brothers who rejected Jesus, because it was also true for him that ”the old things passed away; behold, new things have come.” (2 Corinthians 5:17). 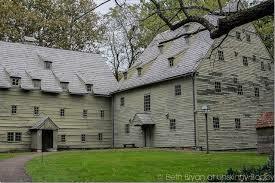 Change meant leaving the old, familiar Jewish structures and systems for a new life in Jesus. This was a difficult transition at first, as these new believers were tempted to return to their familiar religious ways by returning to the Temple and synagogues, but persecution and rejection drives them away from the old forms. They realize they no longer need a physical building like the Temple in which to meet because they can meet anywhere, anytime. “Do you not know that your body is a temple of the Holy Spirit who is in you, whom you have from God.” (I Corinthians 6:19-20) That is a drastic mindset change, even for Christians today. Since Christianity was built around Jesus rather than a religious system or building that included animal sacrifices, there was no need for hierarchal leadership since “The Lord has sworn and will not change His mind, ‘You are a priest forever according to the order of Melchizedek.’” (Psalm 110:4) Because “Jesus has entered as a forerunner for us, having become a high priest forever according to the order of Melchizedek, (Hebrews 6:20) You are a priest forever.” (Hebrews 7:17) With Jesus as our High Priest, there is no need for a pyramidal leadership structure; instead leadership can be built on a relationship built on equal peers, priests in a priesthood, unlike Aaron’s or the Levitical priesthood, but one that is eternal. Paul, or any apostle, could come into a town, birth, build, release, and leave a church in six to eighteen months without establishing a hierarchy. That is an incredible mindset to grasp, even for Christians today. If it was tough for the traditional Jew to face such rapid change, the Jew who accepted Jesus as his Messiah faced even more drastic changes. When something old passes the torch to something new, change is inevitable. Often the Old Guard will oppose it or adjust to it, while the New Guard will openly embrace it. There is a striking resemblance between the way today’s Christian church functions structurally with his Jewish counterparts at the time of Christ. The church identifies with a building; you go to “church”, a building, on Sundays. The “order of worship” is set in stone; you do “church”. A hierarchal form of leadership above the masses, who have become passive, leads it. The masses are expected to finance the institution. What would happen if this system too would crumble, fall, and face the same fate as its predecessor? Can peer relationships replace hierarchal structures of leadership? Could organisms be restored to life rather than just be re-organize? Instead of readjusting, could the Church accept and embrace newness? Can the Holy Spirit be allowed to flow freely again in a fluid Church? Could complacency and passivity be replaced with activity, creating a continuation of the book of Acts? Can traditions give way to new mindsets? Can the Church embrace revival rather than oppose or try to control it? All these require drastic mindset changes. We have come full circle, literally. The Holy Spirit of Jesus Christ has offered us the vision and point of view of salvation, offering life and living to the dead and lost. He has offered us a restored relationship with the Godhead that was once lost, separated through the Gulf of sin but has been reestablished through the shed blood of Jesus on the Cross. That Passover Spirit is the spirit of evangelism. The Holy Spirit of Jesus Christ has offered us the vision and point of view for nurturing, growth, and maturity in Jesus Christ only obtained through proper care by being groomed in the Logos Word and living it out through the Rhema Word. That prophetic, teaching, and shepherding spirits are the Pentecost experience. The Holy Spirit of Jesus Christ has offered us the apostolic vision and point of view of seeing the big picture of a believer’s spiritual journey from spiritual birth, justification, through the process of maturing in Christ, sanctification, to the passing from this world into an eternal relationship with the Godhead, glorification. It is a journey which needs brothers and sisters in the Lord sacrificially walking beside one another as peers in Christ, a Priesthood of Believers, the Church. Our personal Passover, Pentecost, and Feast of Booths is tied to our “accepting” them by “faith” and our willingness to “receive” them. The kingdom of God does not have slaves, only willing servants. God never forces us to do anything; He sent his Holy Spirit to “convict the world concerning sin and righteousness and judgment; concerning sin, because they do not believe in Me; and concerning righteousness, because I go to the Father and you no longer see Me; and concerning judgment, because the ruler of this world has been judged.” (John 16:8-11) All we must do is be willing to accept all he has to offer. It is up to us. Disclaimer: By accepting this offer, expect change. What do all these feasts have to do church structure or the five fold? The feasts are not about structure, but about relationships between man and his God. They aren’t about religious institutions, programs, or organizations; they are about living organisms. Passover reestablished righteousness between God and man. “Righteousness” means “being in a right relationship.” Because of what Jesus did on the Cross, the “ain’ts” became “saints”! “Without faith it is impossible to please Him, for he who comes to God must believe that He is and that He is a rewarder of those who seek Him.” (Hebrews 11: 6) Those ”who seek Him” have been rewarded eternal life and membership into the Priesthood of Believers. Pentecost empowered this Priesthood of Believers to live by faith. All those listed in Hebrews 11 “gained approval through their faith” yet they, "did not receive what was promised, because God had provided something better for us. (Hebrews 11) What was promised would be Jesus and the Holy Spirit who would fulfill Passover, Pentecost, and the Feast of Booths. The Holy Spirit would empower believers to live out the Logos Word through the Rehma Word. The Feast of Booths, Feast of Tabernacles, Feast of Ingathering is relational because God is not only calling individual believers to Him eternally, but is calling an entire priesthood, the Priesthood of Believers, the Church to Him through Jesus Christ. Unlike marriage, it is now beyond “death do us part,” Because of Jesus’s death and resurrection, the committed relationship between God and man is now eternal. If we, as believers, will have new bodies, new “structures”, why wouldn’t the Church also transform into a new structure? If your temple (“Do you not know that your body is a temple (tabernacle) of the Holy Spirit?” (I Corinthians 6:19)) is going to be “renovated” or “renewed”, why wouldn’t the Church also experience renovation called “revival”? A new body! A new structure! A metamorphosis of newness, so we as individuals and corporately as the Body of Christ can fly, soar, into the heavenlies with the Godhead for eternity.